The “tulip table,” as we call it today, was created in 1958 and has remained an icon in modern kitchens and dining rooms since then. Eero Saarinen created the pedestal collection as a way of reducing the clutter that is underneath a table. The single base, to him, was very appealing to the eye. I’ve recently become drawn to these tables, mainly when paired with antique chairs as a way to keep the overall look from being too modern. I would love to find a great set of distressed wooden chairs and recover the seats in a dalmation-inspired fabric. Alongside the table, I’d love to see a very richly-colored persian rug. This is my perfect mix. 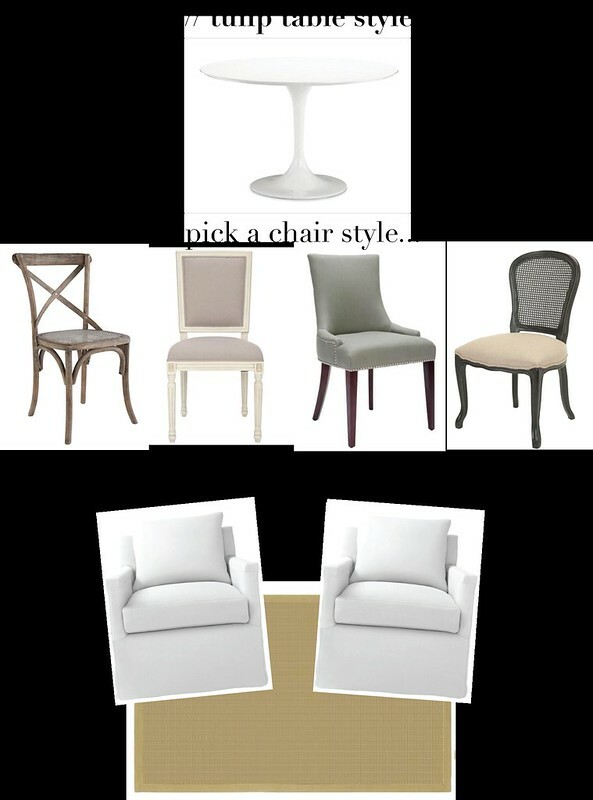 Here are some other ways I love to see a tulip table styled. Previous Post gift guide // my picks! I never knew that's what they were called – I have a smaller version that I picked up at home goods ($99!) 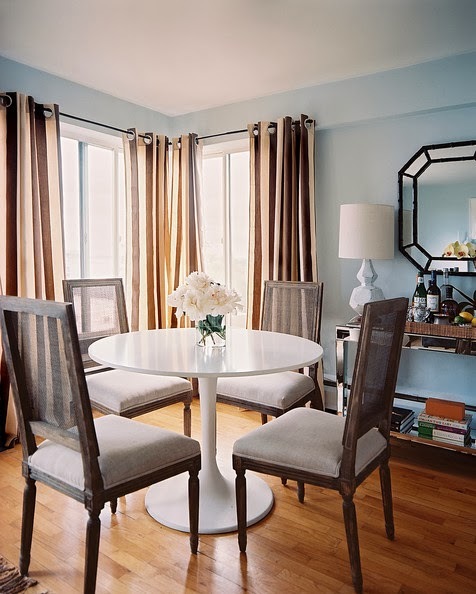 and I paired it with two chairs very similar to the Hazel ones you picked…apartment living in it's finest so we had to be creative!! Great post! Love tulip tables! Have you seen one with a gray marble contact paper on top? It looks so expensive and chic! 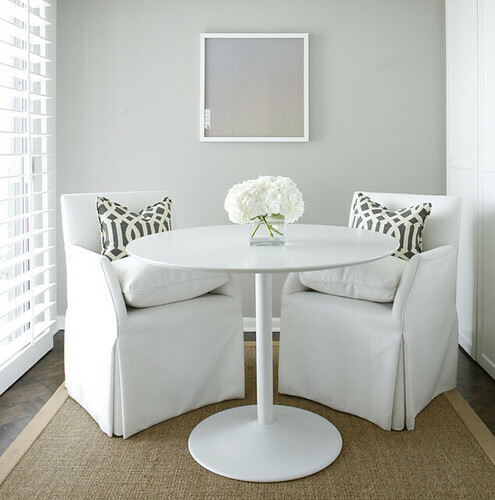 I love round pedestal tables, especially for a cozy breakfast nook. Love that first image. 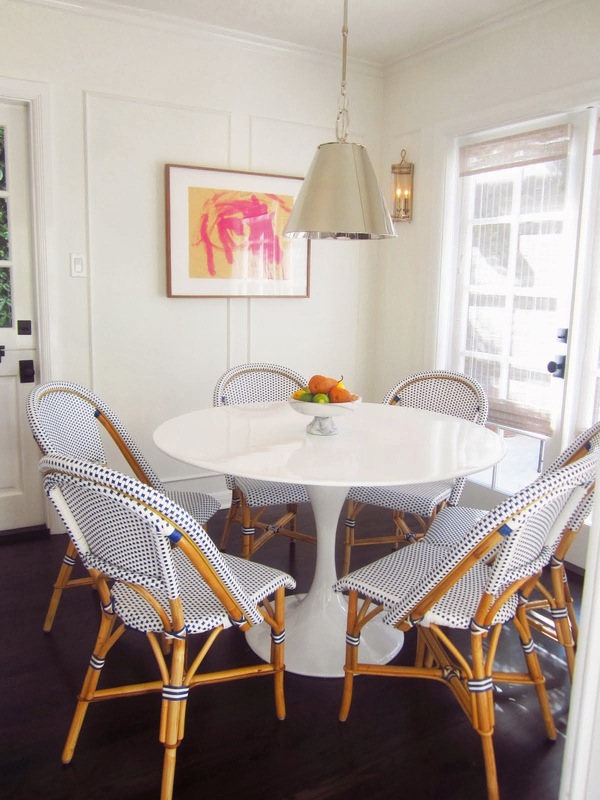 loving the idea of a tulip table paired with dalmation print and a rich persion rug — tres chic!